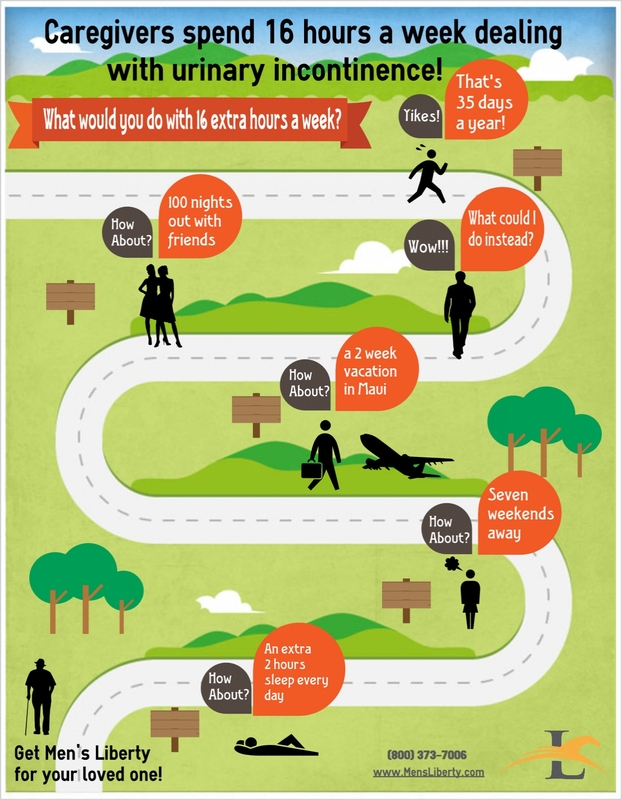 What would you do with those extra sixteen hours? Do you have a loved one whose a caregiver? What would they do with those precious hours back? Spread the word, caregivers can reclaim hours a week just by switching to a healthier option for managing incontinence. Pick the discreet, dignified, dependable option, Men’s Liberty!